A 203k loan is a loan granted by the Federal Housing Administration (FHA) to be used for homes in a state of disrepair at the time of purchase. To qualify for traditional FHA financing, the stipulations state that the property must be in livable condition. If this isn't the case, the FHA offers a 203k loan to give buyers another option. These loans are seen as a way to bring older homes (and hopefully the surrounding community) back from the dead by giving people the resources they need to restore them. What is the 203k Loan Used For? Fixer-uppers are available in practically every neighborhood, and many of them are blessings in disguise for motivated buyers who see the home's potential. The Department of Housing and Urban Development (HUD) is the parent department of the FHA, and the 203k loan is their way of making ownership more accessible to those without a substantial amount of savings. The HUD partners with specific lenders all over the country, with the government securing the loans made to approved buyers. Eligible properties include single-family homes, conversion properties (up to four units), and even torn down properties (as long a piece of the original foundation remains.) Common repairs include structural necessities as well as cosmetic improvements such as landscaping, flooring, and new appliances. As mentioned, only qualified lenders can issue a 203k loan, so buyers should do some research on the local options. All repairs must be listed and submitted along with the loan application. Homeowners also have the option to refinance their current mortgage with a 203k loan if they're in need of some unexpected repairs. It's an excellent way to get better interest rates for home repairs with all repair payments lumped into the mortgage. 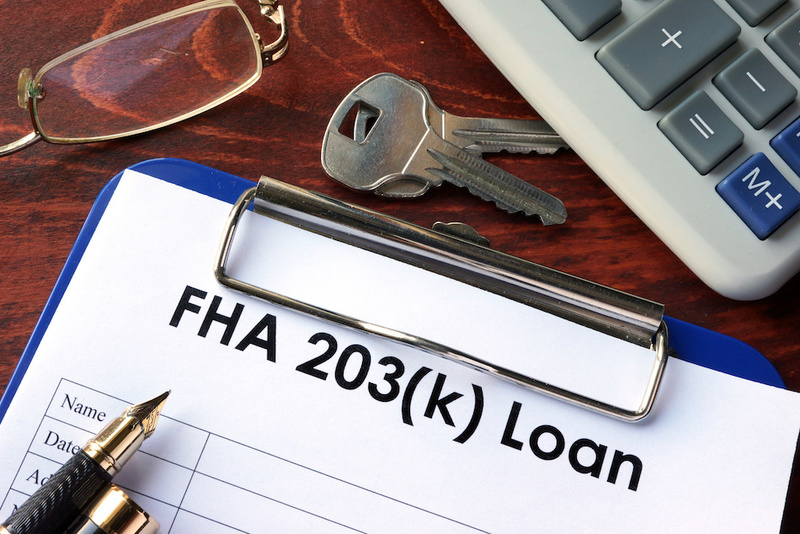 The FHA sets their guidelines based on best practices, but each lender has their own requirements when it comes to who qualifies for the 203k loan. There are two types of 203k loans that a buyer can choose: standard or streamline. Both loans let buyers 'bundle' the payments for the repairs and the mortgage into one monthly sum. Streamline loans are meant for homes that need minor repairs up to $35,000. A standard 203k loan has no limits though, which makes it perfect for Largo homes that may need a major makeover. It's fairly complicated and time-consuming to set up a standard loan, but it's often the only choice for homes that are on their last legs. Buyers will need to use an appraiser to get the finalized list of the repairs necessary for the home to meet minimum zoning standards. Buyers and homeowners often have more options than they realize when it comes to getting the home of their dreams—even when their bank accounts don't seem to reflect it. Whether you see an area that's about to explode or just have the perfect property in mind, a 203k loan can be the answer to breathing new life back into a community.